Hullett House, Tsim Sha Tsui, Hong Kong. Image courtesy of Hullett House. 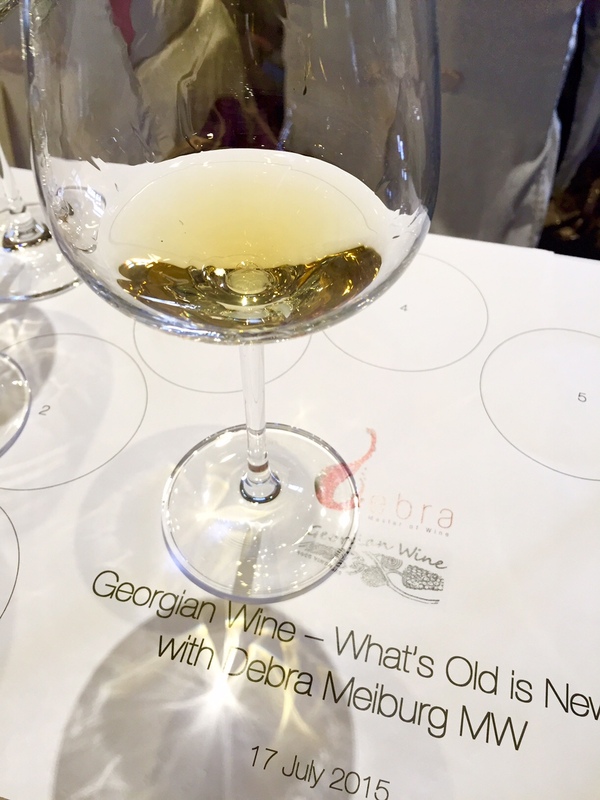 Last week I attended an event showcasing wines from Georgia hosted by Debra Meiburg M.W. and her team from Meiburg Wine Media. In the interests of transparency I should mention that I have worked for Debra previously and that my inner wine geek is rather partial to a glass or two of Georgian white wine. Georgia wines tasting seminar selection. 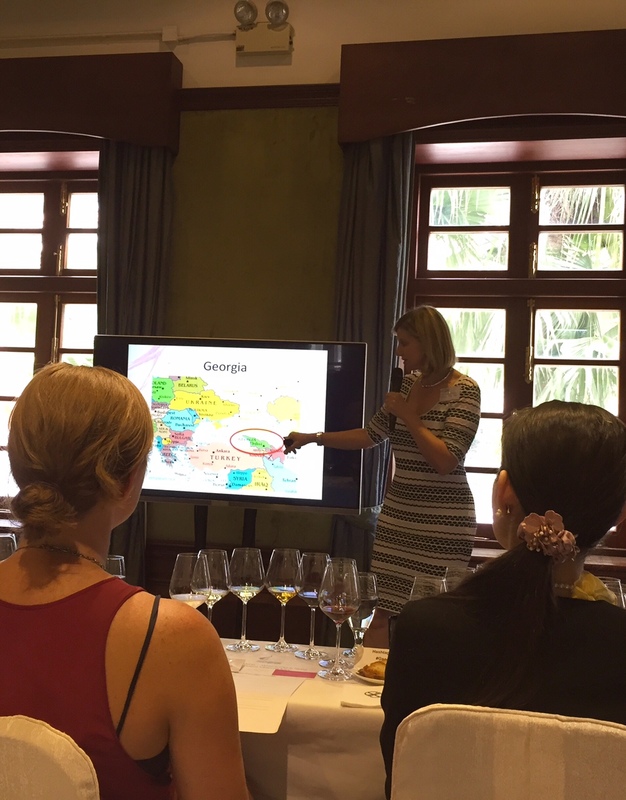 On her recent trip to Georgia, Debra travelled to a number of different regions throughout the country to see first hand how the different styles of wine are made. As a result, the tasting seminar was interspersed with pictures of the trip and many a useful map for this relatively unfamiliar wine region. Debra Meiburg M.W. leading the tasting seminar. This year’s tasting was at the historic Hullett House, a colonial style building dating back to 1881, making it the perfect venue for showcasing Georgian wines given the historical significance of both. 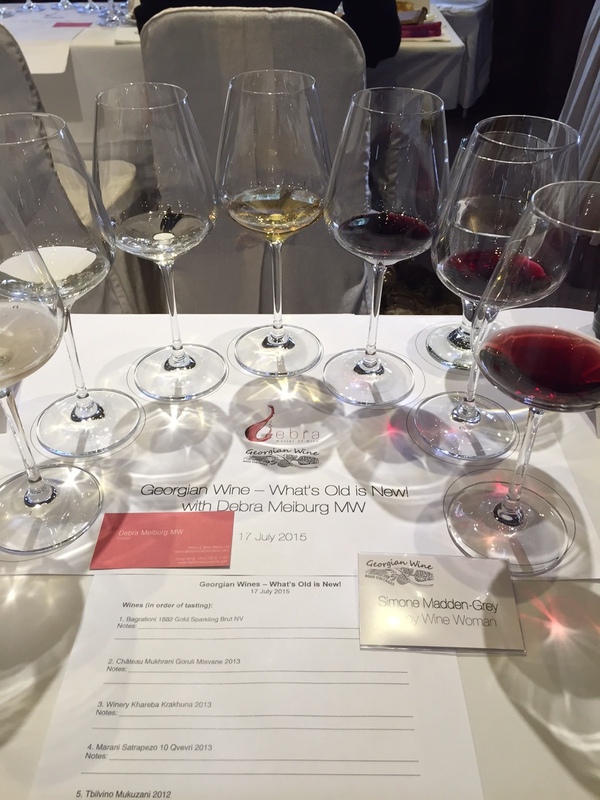 There were two parts to the event; a tutored tasting of seven wines, one sparkling, three white and three reds, followed by a walk-around tasting showcasing seven different portfolios. All seven tasting seminar wines showed well but it was the Marani Satrapezo 10 Qvevri 2013 that caught my attention. Produced using centuries-old tradition, the grapes are hand harvested, destemmed by hand and lightly crushed before the juice and skins are transferred to traditional clay vessels or amphorae known as qvevri (also written kvevri). Fermentation occurs via the yeast that exist naturally on the skins of grapes and the number 10 in the name of the wine refers to the 10 qvevri vessels that are used for the first part of production. Cap management, which refers to the regular movement of the grape juice, pulp and skins for consistent contact with each other, is done by hand and the must is left to macerate for 20 – 25 days in the qvevri. The next steps incorporate modern techniques as the must is settled and the juice, without grape skins, is transferred to small French oak barriques for 10 months of maturation. Prior to bottling the wine is filtered and aged for 6 months in bottle before release. 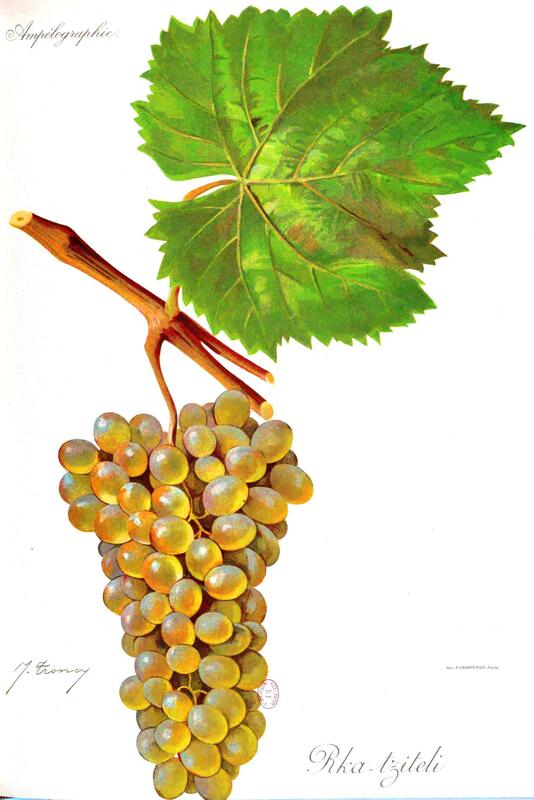 The resultant white wine is of a light amber colour and has some texture from the tannins of the grape skins. There are notes of beeswax, lanolin, dried flowers and stone fruit with a good dose of citrus freshness. On the nose there are some sweet notes of dried stone fruit and marmalade but that is a red herring – the wine is very dry. The acidity is pretty racy which is in perfect balance to the sweet stone fruit and honeysuckle notes and this is thanks to the Rkatsiteli grape. While it may look difficult to say, the word Rkatsiteli is not too bad when you break it down and thankfully this was something we tackled in the seminar. My own phonetics make it look like this; “r-cat-sa-telly’ but a professional linguistic approach might be “rkah-tsee-tely”, hopefully one of them is helpful! In the walk-around tasting the Rkatsiteli Qvevri 2013 from Tbilvino also showed well with a good burst of quince on the palate in addition to the beeswax, stonefruit and dried flowers I find with this grape and style of winemaking. By contrast I also tasted the Tsinandali 2013 Dry White, another wine from the producer Tbilvino. This white blend from the appellation of Tsinandali uses the grapes Rkatsiteli and Mtsvane and is produced in stainless steel tanks with no skin contact, so an altogether different production method. The acidity of the Rkatsiteli kept the wine fresh and crisp and the Mtsvane brought a richness to the palate with nice full fruit flavours. I can easily imagine sipping a glass or two of this with seafood from the grill. 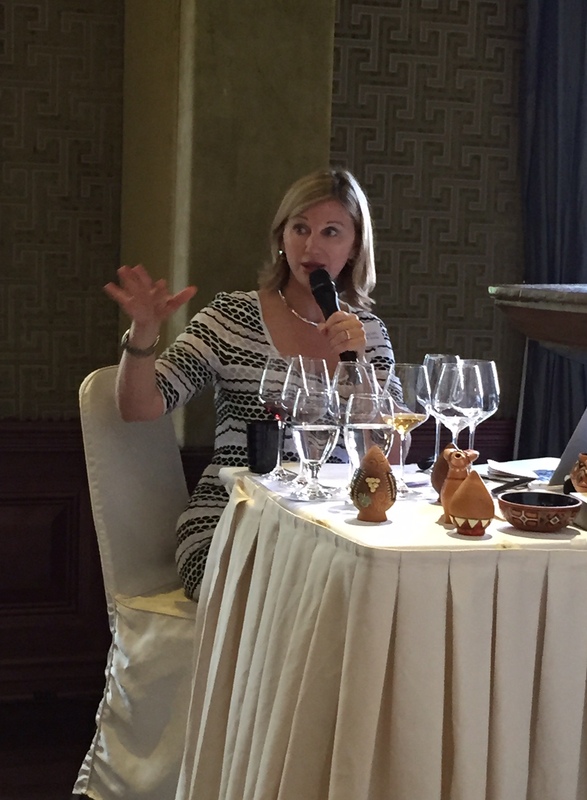 At 4.5 million people, 18 wine appellations and at least 525 different grape varieties planted, there is much on offer from Georgia, from traditional to modern production methods, sparkling to still, white to red and dry to sweet wines – something for everyone, including my fellow wine geeks! Georgian Wine: How does one make a pheasant cry? Georgian wines in that colonial style building…. the experience seems to stretch the imagination of what’s expected in wine. Incredible…thanks for sharing. Thanks Jill – it was an excellent event! Just found you via LinkedIn -great blog title! I saw the Georgian wine stand at VinExpo, but didn’t have time to try any. Thanks for the post. Thanks Vanessa – glad you enjoyed it 🙂 Good luck with your Diploma!